A quick note just to introduce you to a line of shea butter products we'll be carrying in the shop. 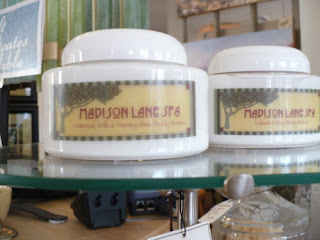 We've teamed up with a vendor who specializes in a product line of soaps, lotions, and candles. We will carry the candles and body butter with our own label! We have samples setting out for you to "try before you buy", so help yourself. The candles should be here by the time we are back from spring break, and there is something different about them! But . . . . you'll have to find that out for yourself.